The Transitional Homes are for consumers who are diagnosed as SPMI who are in the needs of learning living skills to be prepared to live independently. Out Patient, Case Management, Psychosocial, and 24 hour Attendant Care services are provided as needed. The homes are four bedroom homes with complete living areas, kitchen, 2 baths, basement, and storm security areas. Both houses are handicap compliant. More information about these facilities and programs are available by calling our main office at 620-723-2272 on Monday-Friday 8 A.M.-5:00 P.M. 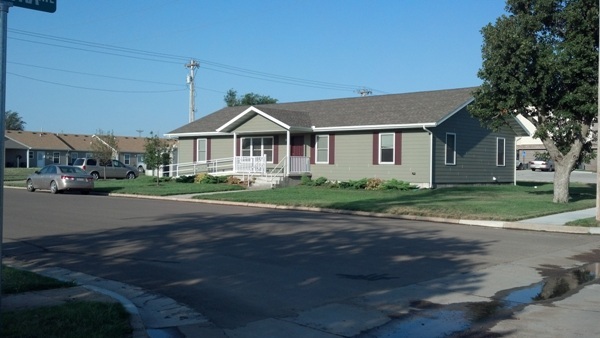 The Julius House is a men’s house located at 502 S. Pine Street in Greensburg, Kansas 67552. It can accommodate up to four male consumers. The Kelley House is a women’s house located at 202 E. Nebraska in Greensburg, Kansas 67552. It can accommodate up to four female consumers.